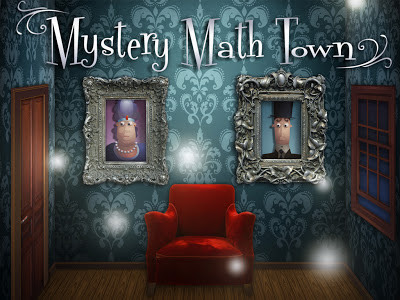 I know I've been talking quite a bit about our upcoming Educational app, Mystery Math Town. And I've also shown you some pretty nice pictures (if you haven't seen the virtual trading cards, you should check them out). But none of that comes close to actually playing the game - and that's what has us so excited. In fact, I'm playing the game right now. Am I dangerously close to the line between an artful tease and just being mean? With just a couple of weeks to launch, our enthusiasm is boiling over and I really want to share it with you. Presenting the Mystery Math Town app trailer. We used the awesome Reflector app for the screen capture and Lis constructed the trailer in Flash (yes, it's still good for something).